Saturday was most definitely the day that I was most looking forward to as two of my favourite bands were performing, Rival Sons and Black Sabbath. I have seen Black Sabbath once before live but never Rival Sons so let’s just say I was extremely excited. 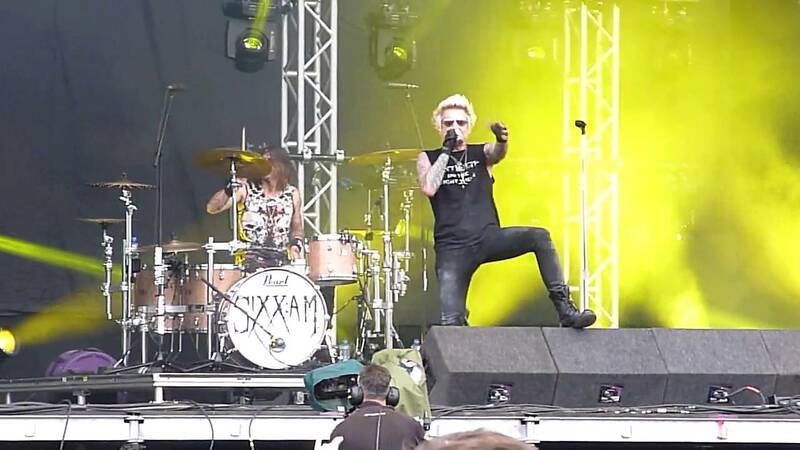 Similar to Babymetal, as I mentioned previously on my day 1 blog post (find it here https://livemusicwhatthekidswant.wordpress.com/2016/06/25/download-festival-2016-day-1/) I had never taken the time to properly listen to Sixx AM despite knowing that it was infact Nikki Sixx, former bassisst of Motley Crue, who formed the band. This obviously links back into my obsession for classic rock music as well as much of 80s rock but for some bizarre reason, I never seem to listen to any of member’s new music once they leave. Anyway, despite only hearing the last 20 minutes or so of Sixx Am’s set, I was very impressed and their musical style still echoed elements of the old, 80s, hard-rock sound which always wins me over. Sixx AM were incredibly engaging and plunged me into nostalgia. 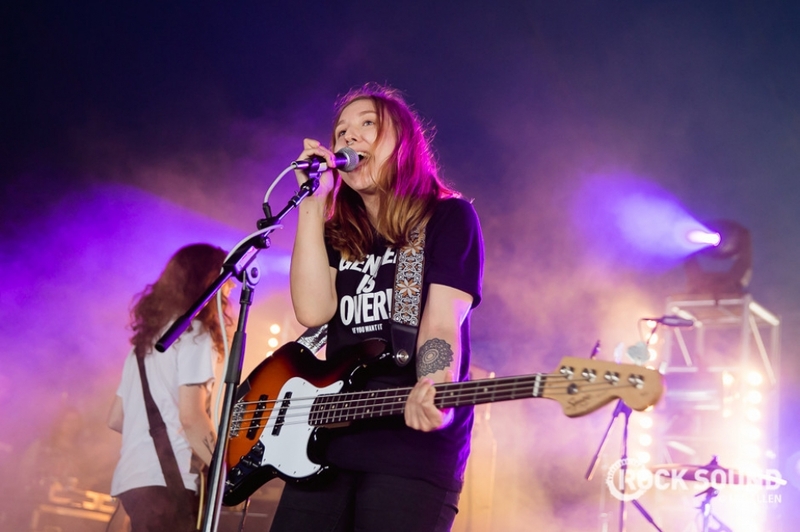 I went to see Milk Teeth for the first time at Download after their music was recommended to me quite a few times. Milk Teeth are a British punk rock band who despite being very much at the start of what I can tell, is going to be a very exciting next few years for them, managed to have almost the entire tent in one huge pit. The sheer enthusiasm and energy that radiated from each of the 4 members was nothing but admirable and they even had my dad going in parts. I highly recommend that you go and see Milk Teeth if you’re given the opportunity. Rival Sons are one of the main bands that I came to see across the weekend. From America, Zeppelin-infused rock band ‘Rival Sons’ have managed to effortlessly capture the exact classic rock sound that I’ve begged countlessly from more modern bands. Before I discovered this band, I had come to the conclusion that the classic rock sound had faded away from rock bands and times had moved on so I can’t express how happy I was to stumble upon a band like this. Of course, I wanted to get pretty close to see one of my favourite bands that I had never seen before so after finding myself a spot, on my own might I add, I was so ready to go. 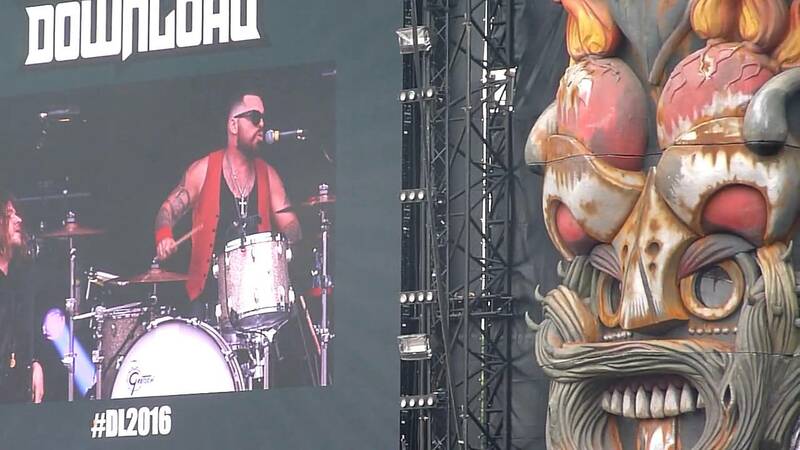 Opening with the heavy, compelling anthem ‘Electric Man’ before ending with the electrifying ‘Keep On Swinging’, Rival Sons absolutley wiped the floor with everyone else I had seen that day and everyone I saw after, apart from Sabbath of course. Sidenote- The only thing that did catch my attention was how dead the crowd was. Whether this was merely due to the appalling weather that we experienced pretty much from sunlight to sunset or perhaps because not many people had heard of them. Regardless, you need to! Come on, do yourself a favour and give them a listen. I’m only going to briefly touch upon Deftones’ set because I didn’t really like them. I admit, I’m not a fan but even so, I found them quite boring and actually found myself checking the time to see how much longer they’d be on before Sabbath. Perhaps a little harsh and perhaps I haven’t given them enough credit but I can say that I wasn’t particularly impressed and neither was everyone else I went with. Black Sabbath were by far THE band I was desperate to see at the whole of Download Festival. If you know me personally, you’ll know that I consider Sabbath to be the Father’s of original heavy metal and almost regard them as gods. I had previously seen Sabbath in 2013 on their ‘13’ tour at Sheffield Arena but I felt as if I hadn’t properly experienced what they had to offer, solely because I was sat right at the back of the arena, courtesy of my father’s gift of always managing to buy the worst tickets to gigs. So being able to see them yet again, but this time standing, meant such a great deal to me. Rather foolishly, I underestimated the type of crowd that I would find myself in so yet again, by myself I ventured down towards the stage as soon as ‘Defttones’ had finished as far as I could. I was thrilled to find that I was actually very close to the stage and had a good view. Moments before Sabbath were due on, the fluorescent lights beat down on the faces of thousands as a short introductory clip of a burning world began to play… haha typical Ozzy. 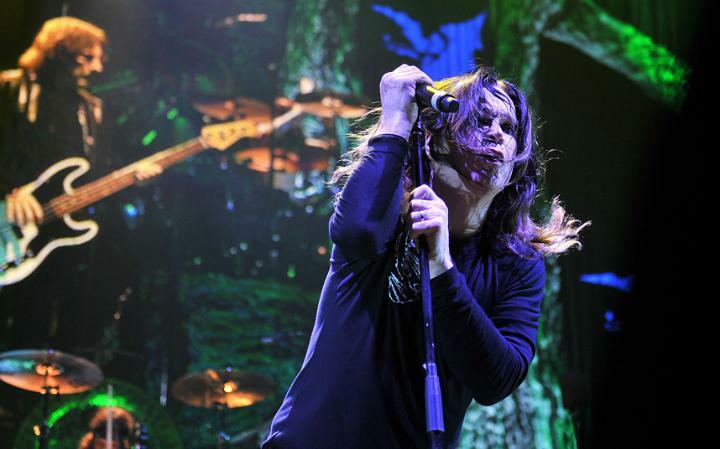 But the clip soon cut short and Ozzy shrieked ‘ I CAN’T F****** HEAR YOU’ before marching on stage and at that exact moment, no joke, I felt as if my spirit had left my body. Not only due to the fact that I was seeing BLACK SABBATH but also quite simply because a wall of people had decided to run into the people directly behind me. The pit had begun. Black Sabbath opened with haunting ‘Black Sabbath’ and as soon as it reached Iommi’s mind-blowing guitar riff, I genuinely feared for my life. It got to the point where I had no choice but to leave my spot and move back, I couldn’t hack it. But to be fair to myself, there was no one my age around me, let alone female and as I started making my way out of the pit so many people patted me on the back with the patronising ‘at least you tried’ haha. Nah, Sabbath were outstanding as per and in my opinion, quite honestly they were on a completely different level to anyone who played across the entire weekend.